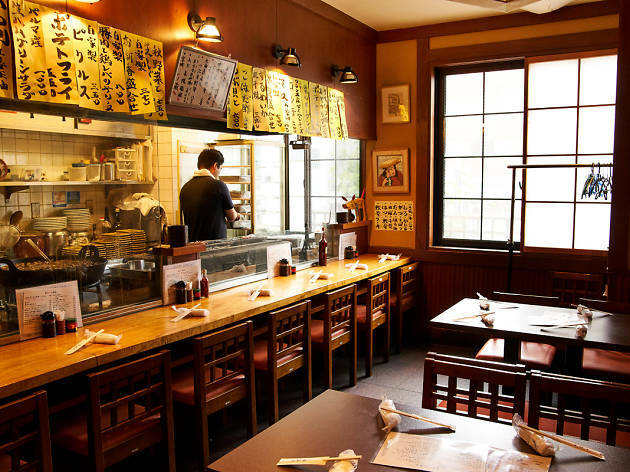 Tokyo's culinary cache owes much to the city's many heritage restaurants. These granddaddies of the city's food scene have largely remained unchanged over the years. 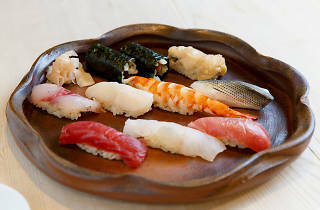 They often specialise in one dish, which their chefs have dedicated their life to perfecting through tireless repetition. 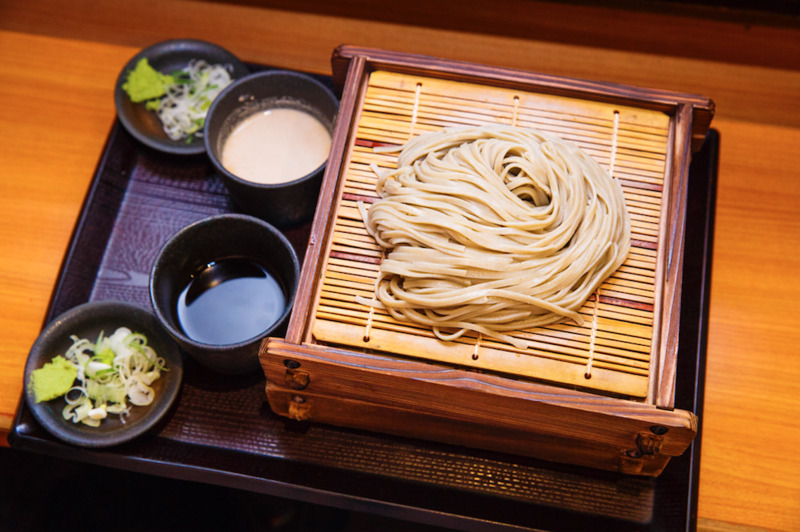 That signature dish, more often than not, earns them a place in Tokyo's culinary hall of fame and keeps them in business for years and generations to come. 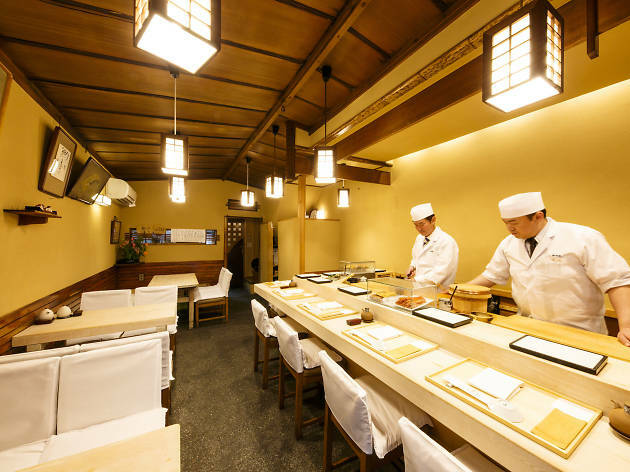 Koharuken was opened in 1912 by a husband-and-wife team who used to work for Japan’s former prime minister Aritomo Yamagata; Mr Kojima was the private chef while his wife was the housekeeper. 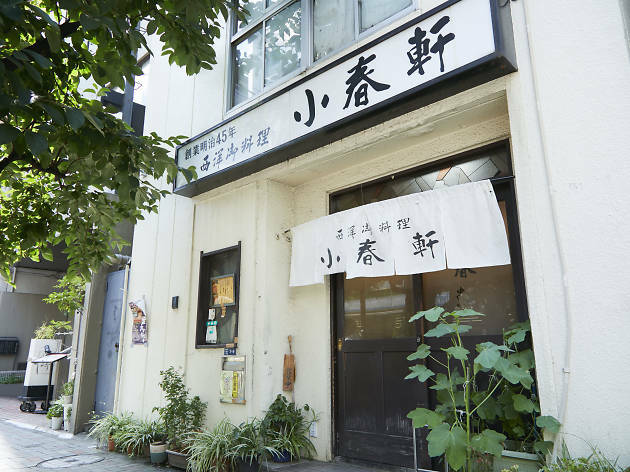 To this day, the cosy restaurant is family-run and is well-known for its take on katsudon (rice bowl with deep-fried pork cutlet, egg and vegetables; ¥1,300). 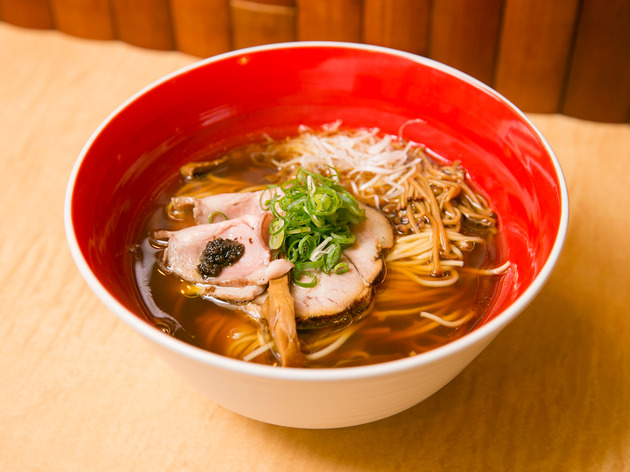 This signature dish was taken off the menu for a long time after the war, but the restaurant’s third-generation owners brought it back 22 years ago. What makes this katsudon so unique is that it’s still made with the original recipe. 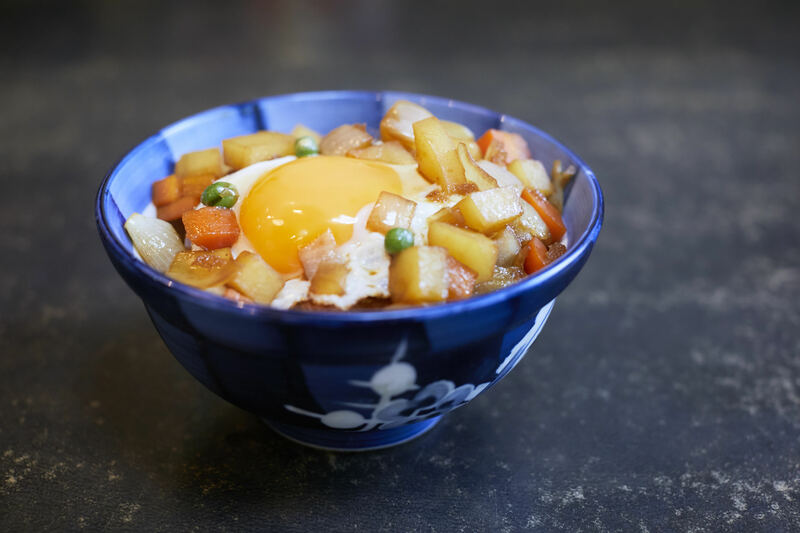 It was created by the restaurant’s first-generation owners when yoshoku (Japanese-style western food) was fashionable in Tokyo, which explains why the dish is slathered with demi-glace, a rich sauce that’s a staple in classic French cuisine. It was an inspired touch as the sauce not only keeps the pork suitably moist but also adds a glossy sheen that makes the rice bowl look even more appetising. 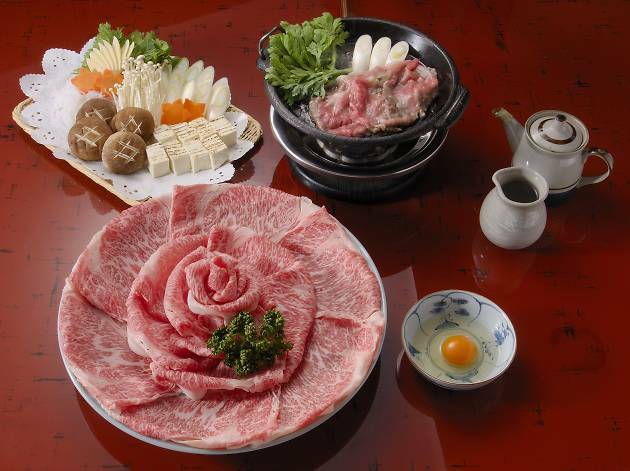 This famous sukiyaki (Japanese-style hot pot) restaurant has been in business since 1880. 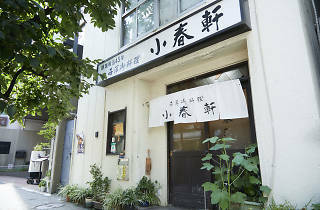 It has been frequented by many great writers and featured in books by novelists such as Kafu Nagai and Bunroku Shishi. 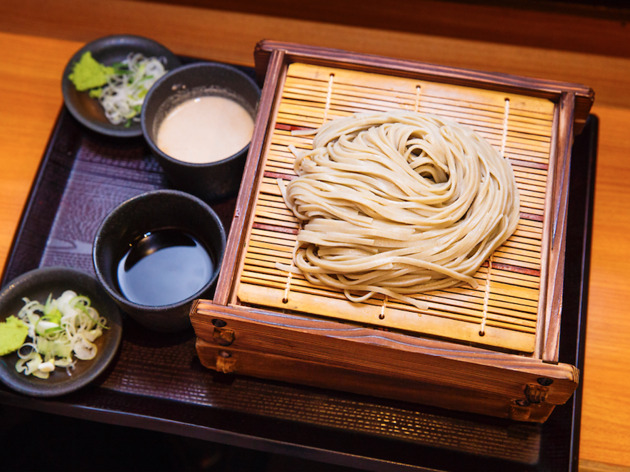 Back in the day, sukiyaki was conventionally made with miso, but the restaurant has been cooking their version with a soy-based sauce known as warishita since day one, and it has become their signature dish. 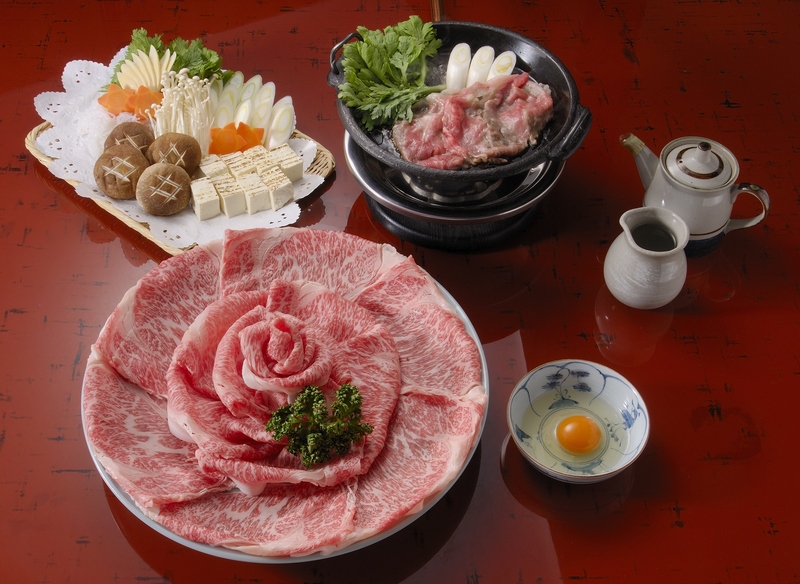 Dinner at Sukiyaki Imaasa is an elaborate affair if you opt for the matsu set meal (¥14,256), which comes with beautifully marbled wagyu beef. The fifth-generation owner, a qualified sommelier, will be on hand to recommend a wine-pairing for your hotpot. 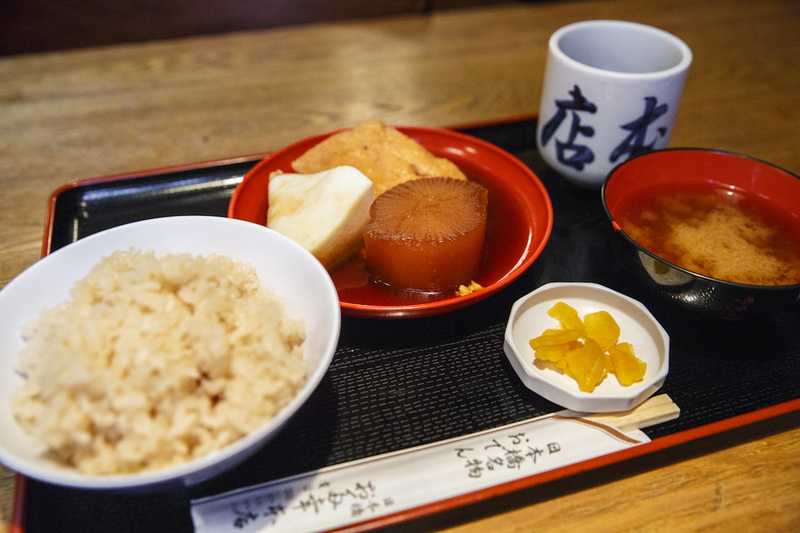 Alternatively, the lunch set (¥2,700) comes with an appetiser, rice and dessert. 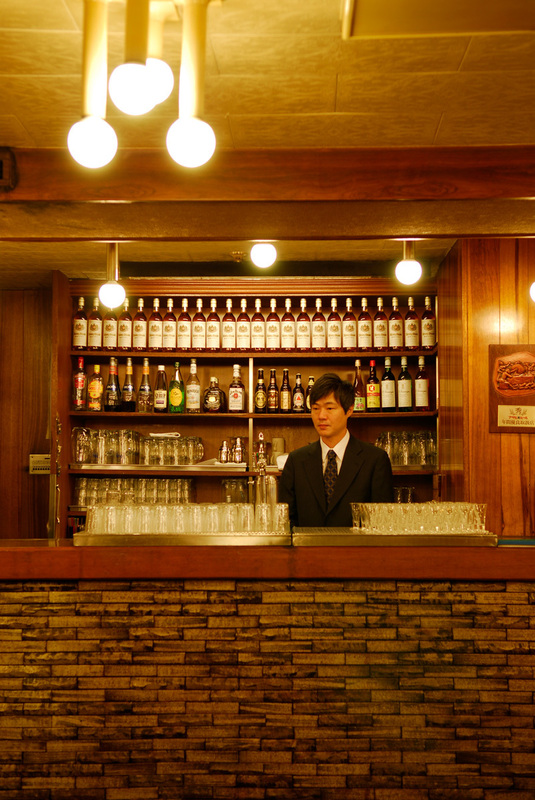 Suegen may have only set up shop in front of Shinbashi Station in 1997, but its history can be traced back to 1909. 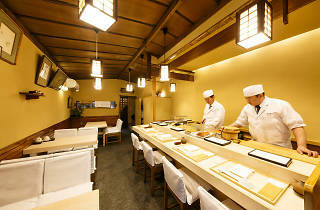 It has always been a traditional kappo (counter-style fine dining) restaurant at heart, specialising in chicken. To truly appreciate its expertise in fine poultry, go for the dinner course meal (¥8,000), the highlight of which is the hot pot with chicken stock, served with duck, tofu, minced meat and, yep, more chicken. 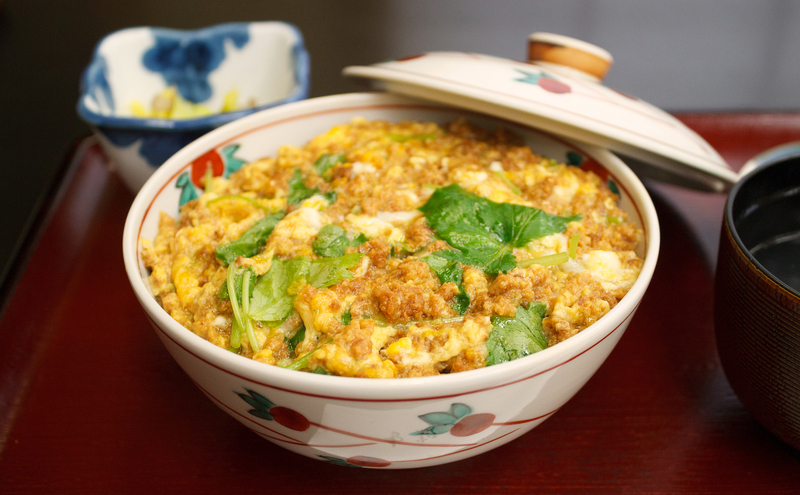 For an option that doesn’t break the bank, queue up for the lunchtime oyakodon (chicken and egg on rice, ¥1,000). It may be cheap, but Suegen’s bowl of clucking goodness doesn’t skimp on quality. 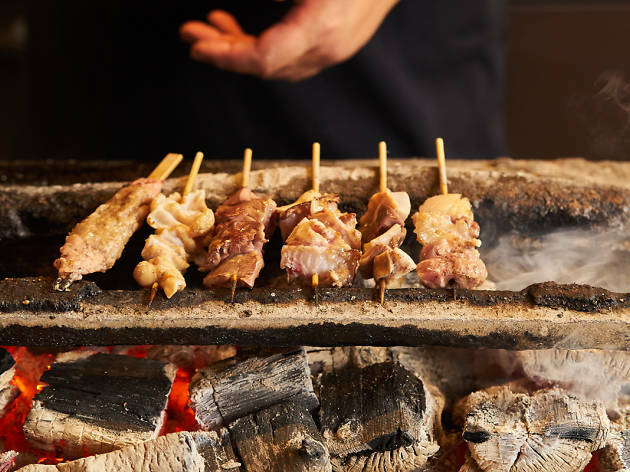 While most restaurants resort to rough cuts, Suegen uses three types of brand-chicken (Okukuji-shamo, Tokyo-shamo and Jiyodori) plus duck for its mince. The result is sweet and flavourful. 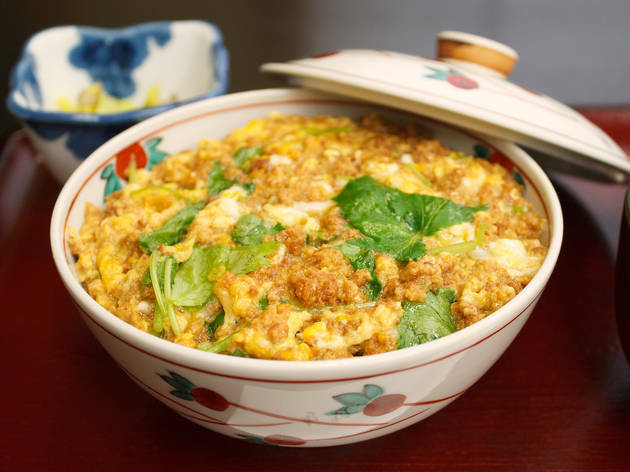 Coupled with the fluffy egg and wild chervil, this oyakodon is easily one of the best bowls of comfort in this part of town. 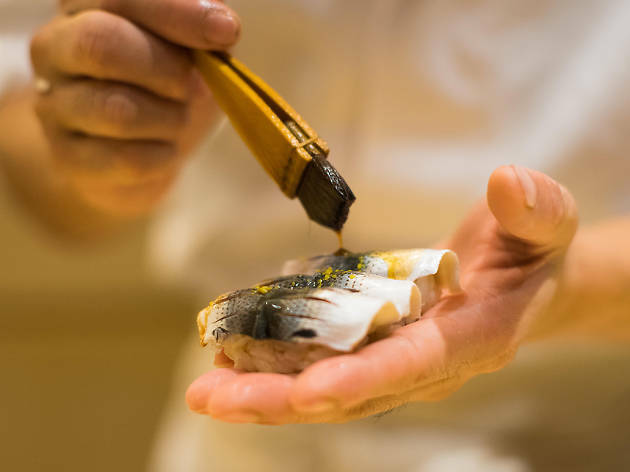 Established in 1923, Nihonbashi Otako Honten specialises in Kanto-style oden, where vegetables and ingredients made with fish paste are simmered in a light and clear dashi stock flavoured with kombu and bonito flakes. 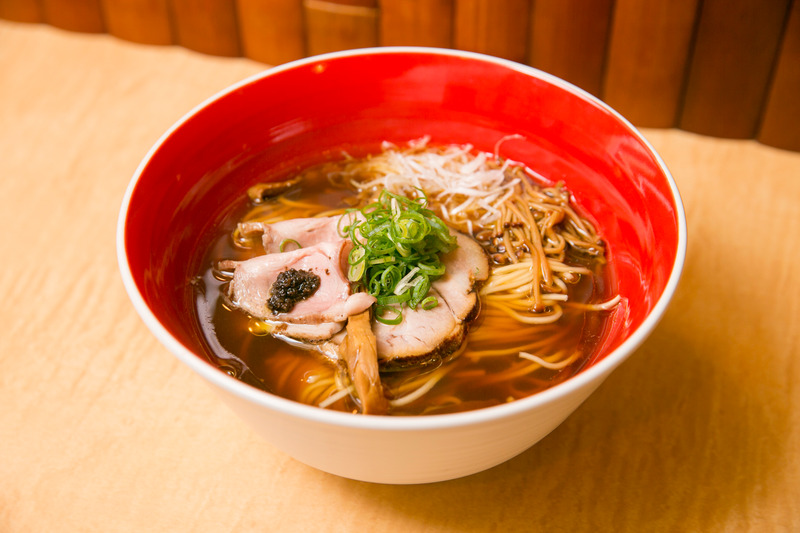 Despite the restaurant’s relocation to its current Nihonbashi spot from the original shop in Ginza 16 years ago, the broth recipe has remained unchanged for over 60 years. For your oden, pick and mix from a variety of ingredients including beef tendon, tomatoes and daikon. 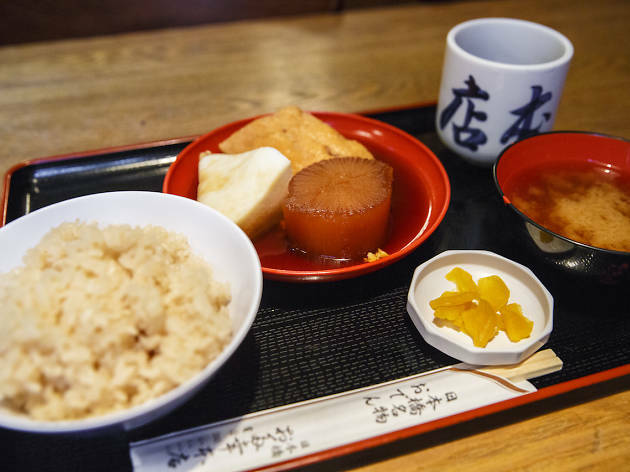 And don’t forget to order the oden staple tomeshi, a simple but flavourful dish of tofu drenched in soup stock and served on rice. The drinks menu is worth a gander too, especially with its extensive selection of more than 50 types of Japanese sake and shochu. Don’t miss the impressive lunch deal. For just ¥670, you’ll be very well fed with a generous set meal featuring tomeshi, boiled daikon with soft boiled egg, miso soup with clams, and salad. Upon entering this 92-year-old establishment, you’re immediately smacked with the intense smell of beef stew, simmered for who knows how many hours. 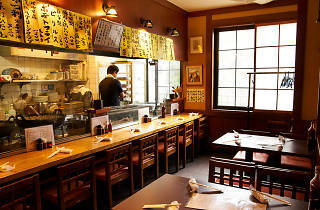 The recognisable ‘Yamariki aroma’ makes its presence felt on each of the three levels (and stairwell) of this shitamachi classic, where the speciality is, of course, nikomi. 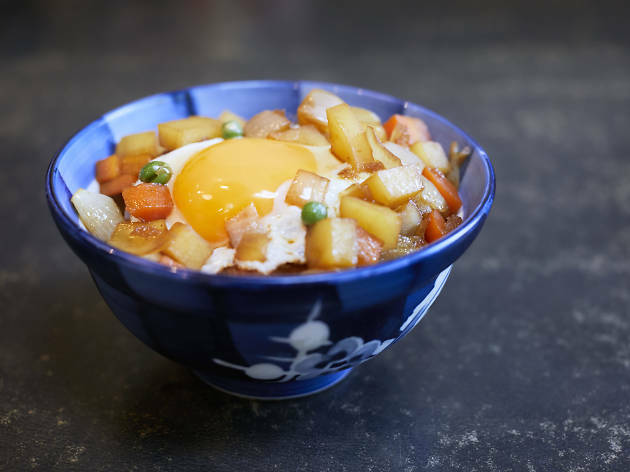 Cooked in a huge cauldron-like cask iron pot, it gets its unique flavour from beef tendons simmered in a miso-based broth from 9am until last orders at 10pm. The intensity of the soup and tenderness of the beef increase over time, so you’re sure to note a significant difference between a bowl ordered at 5pm and one called for at 9pm. 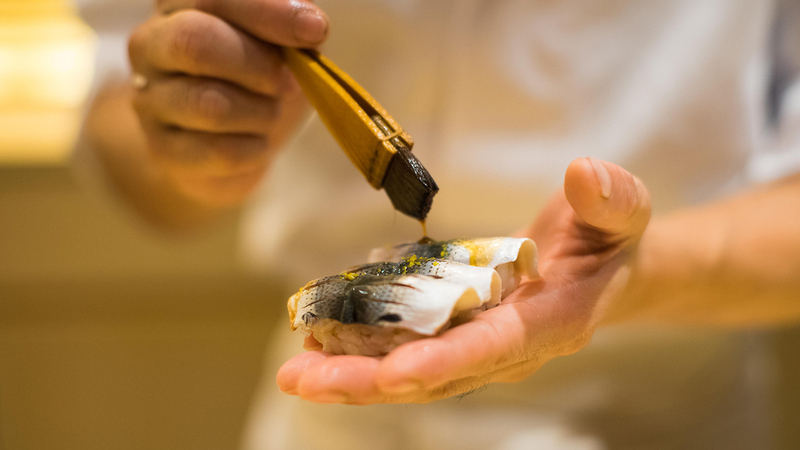 Nikomi is usually served with rice, but Yamariki opts for the more sophisticated accompaniment of crusty slices of garlic-rubbed French baguette for mopping up the rich juices. 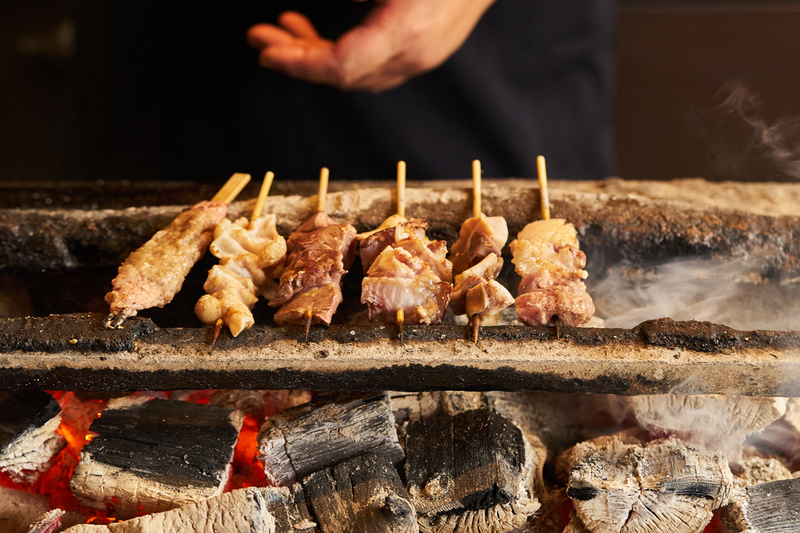 Besides the hearty signature dish, you can order typical izakaya fare like yakiton (pork skewers) with soy or salt, sashimi, tofu and pickled vegetables. Large bottles of chilli-infused liquid are scattered all over the joint; upon closer inspection, we realised that this is actually a vodka mix that can be added to the nikomi – or pretty much any dish – to give it a special kick. Be warned, it packs a punch. English menus are available, but the restaurant only takes cash. 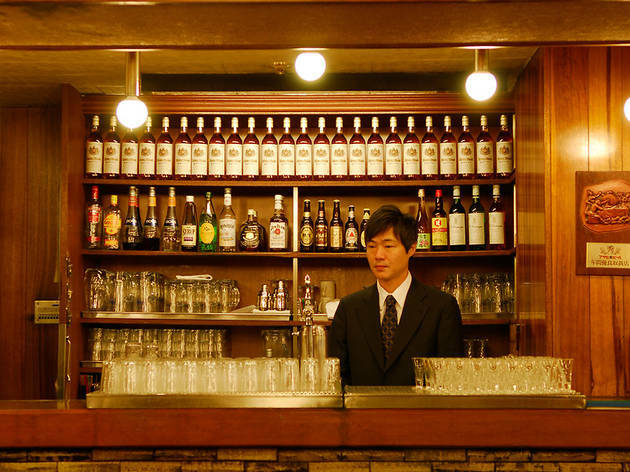 The house special at the oldest Western-style bar in Tokyo, founed back in 1880, is the Denki Bran cocktail (brandy, gin, wine, curacao and herbs). Loosely translated as 'electric brandy', this punchy concoction was invented during the Meiji era, when electricity was scarce. 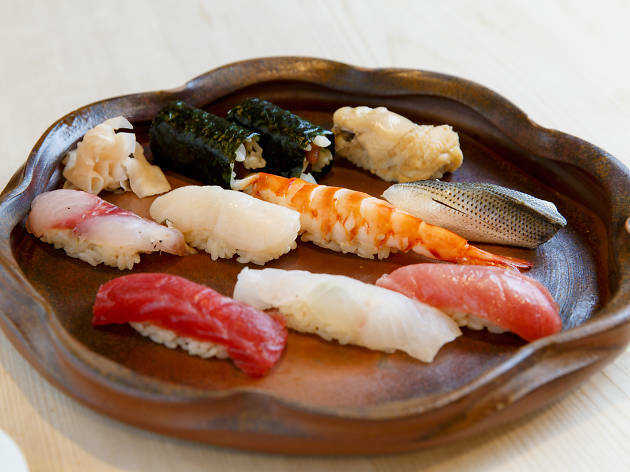 A long-standing Tokyo-style sushi restaurant that's been in operation since 1861. 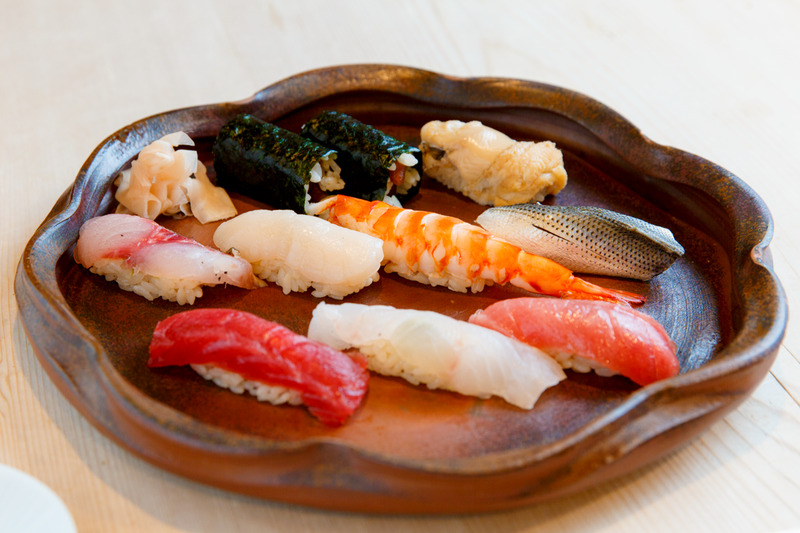 Get the weekday set lunch of hand-rolled sushi, reasonably priced at just ¥1,944.